Responding to national outrage over high prices, Mylan announced plans on Monday to launch a generic EpiPen at a 50% discount to the branded version of the life saving allergy treatment. The generic EpiPen will be "identical" to the branded product in terms of how the drug is made and how the auto-injector functions, Mylan (MYL) said. The surprise move is the latest attempt by Mylan to silence the uproar ignited by a more than 400% increase in EpiPen prices. The launch comes ahead of looming competition from Teva Pharmaceuticals (TEVA), which is hoping to launch a generic EpiPen of its own as early as next year, pending FDA approval. 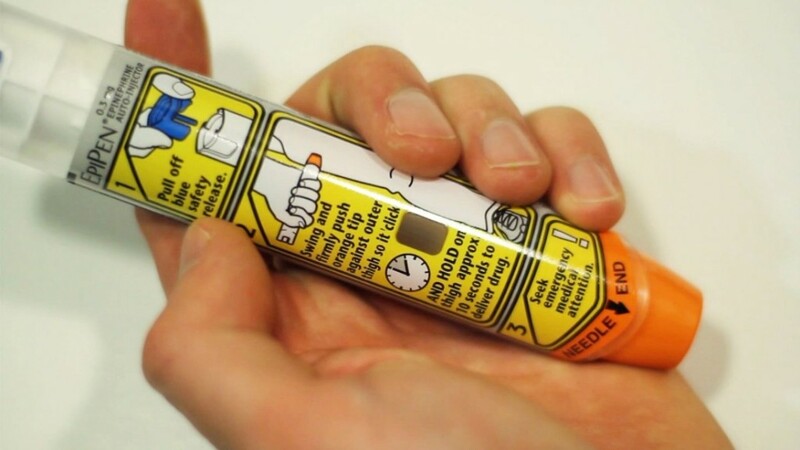 Mylan said it plans to launch the generic version in "several weeks" at a cost of $300 per two-pack carton, compared with $608 for the branded EpiPen. Mylan didn't specify what discounts -- if any -- it is offering on this $300 generic price. It's also not clear why consumers would buy the more expensive branded EpiPen if, as Mylan describes it, it's exactly the same as the generic. The company didn't say why consumers would buy the more expensive branded version, but responded with a statement. "Mylan will continue to offer both -- generic and brand -- options for patients so that they can work with their healthcare provider to determine the best option for them," the company said. Under pressure from angry parents and politicians last week, Mylan said it will provide instant savings cards worth $300 to patients who have to pay the full price for the drug out of pocket. However, Mylan has so far stopped short of announcing an actual price cut. Public Citizen, a consumer rights group, argues that the "weirdness" of a drug company offering a generic version of its own branded but off-patent product is a "signal that something is wrong." "The company must roll back its unjustified and outrageous price increases," Robert Weissman, president of Public Citizen, said in a statement. Senator Bernie Sanders also knocked Mylan on Twitter, saying: "This isn't a discount. It's a PR move." Mylan CEO Heather Bresch said in a statement on Monday: "We understand the deep frustration and concerns associated with the cost of EpiPen to the patient,"
Like last week, CEO Bresch again attempted to shift the blame away from the company and towards a health care system she has called "broken." The "complexity and opaqueness of today's branded pharmaceutical supply chain" led Mylan to determine that "bypassing the brand system" was the "best option," Bresch said. Bernstein analysts wrote that the move is "quite costly" for the company because it will reduce the revenue per prescription.